Maeve Croghan’s art is prominently displayed on three different wine bottle labels. 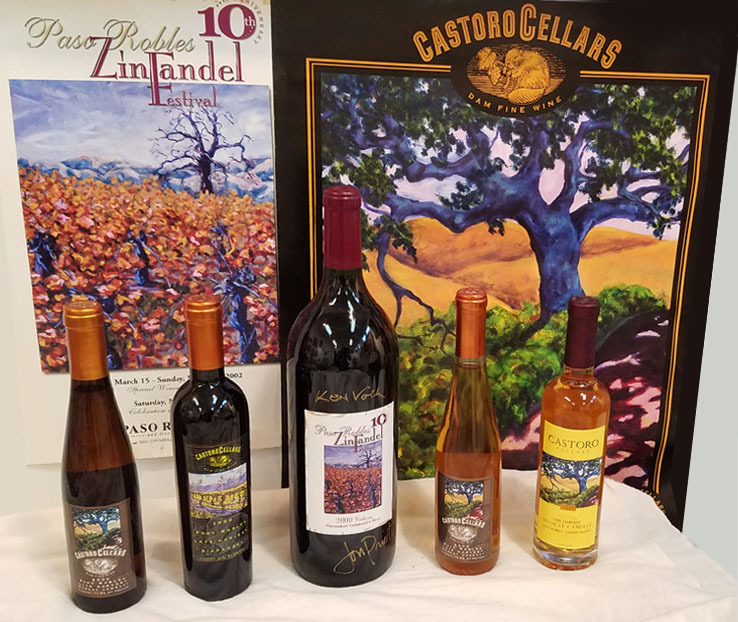 Her paintings are currently featured on the prestigious Castoro Cellars ‘Late Harvest Zinfandel’ and it’s ‘Late Harvest Muscat Canelli’. These two fine wines have displayed Maeve’s paintings on their labels for many years. A number of years ago, Maeve entered a competition for artists to have their art chosen for a wine bottle label - and Maeve won! The first bottle turned out so beautifully, Castoro Cellars decided they wanted a second painting by Maeve for their Late Harvest Muscat Canelli label too. The label designs have had a few incarnations, however Maeve’s Paintings have remained foremost in their design. 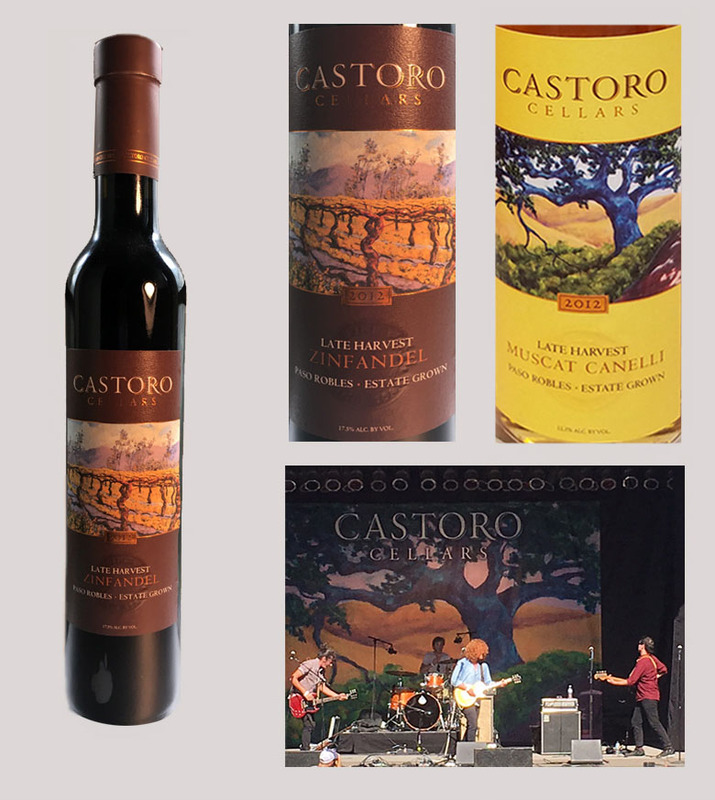 Castoro Cellars is a very highly regarded Gold Medal winning vineyard located in the Central Coast area of California. The husband and wife team of Niels and Bimmer Udsen established Castoro Cellars with the goal of producing world-class wines from Paso Robles-appellation grapes. 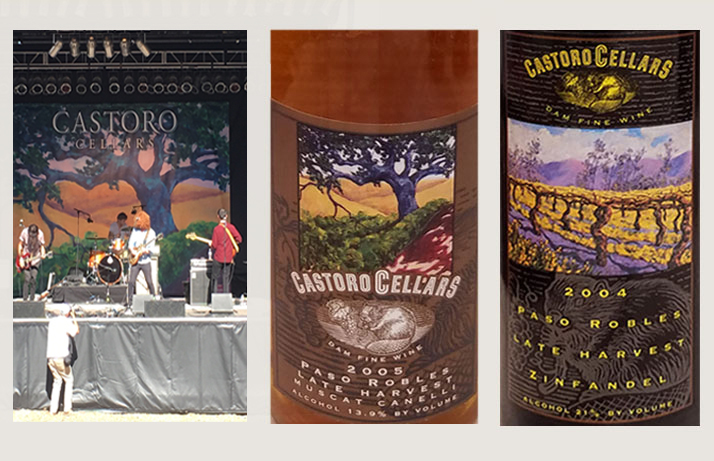 Castoro Cellars currently has over 750 acres of Estate vineyards, 350 acres of which are certified organic by CCOF. All of the vineyards are SIP Certified, which stands for sustainability in practice. 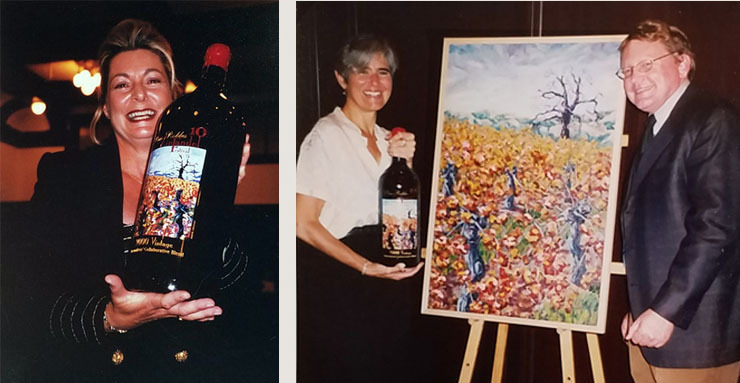 In 2002, the Paso Robles Vinters & Growers Association Selected Maeve’s "Lone Tree in Vineyard" painting for the Paso Robles Zinfandel Festival. Beautiful bottles were created, some with real engraved images of Maeve’s painting for this Special "Winemakers Collaborative Blend" Wine Label in Paso Robles, Ca. You can go to castorocellars.com to learn more!